Where to break the fast this year – from traditional Middle Eastern buffets to contemporary set menus! 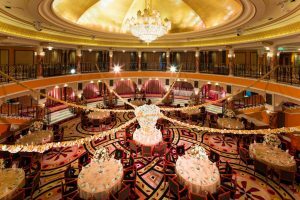 Well known for operas, the ballroom gets an Arabian makeover for Ramadan. 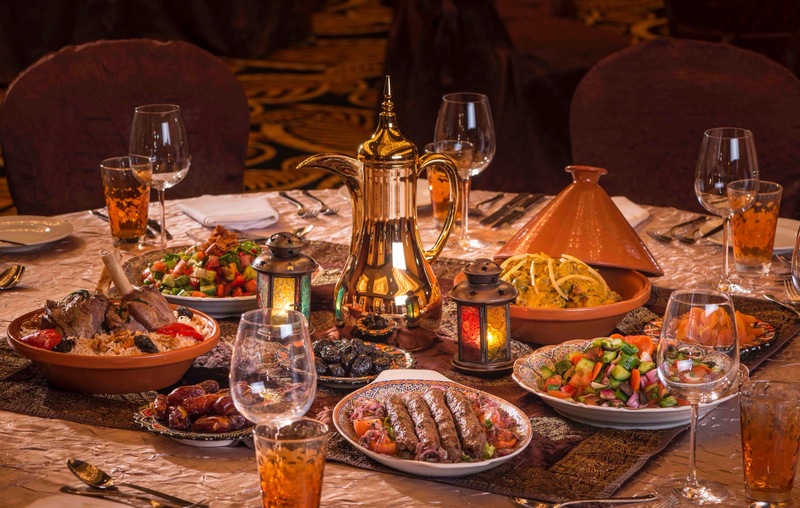 It welcomes its guests to break their fast on an Arabic buffet, a sumptuous selection of local cuisine whilst being entertained by a live Badri band. 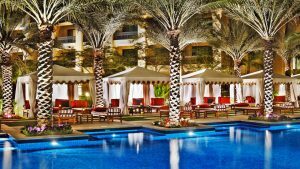 Located on the bank of the Burj Lake, the Buhayra poolside transforms into an opulent Iftar pavilion this Ramadan. No matter how many times you dine under its sparkling silhouette, the stunning backdrop steals the show. Also, Buhayra serves you with a grand a la carte menu, perfect for a family Iftar. 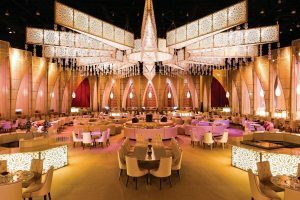 While its Suhour feast is an epic, Buhayra is a must-visit in Ramadan 2019. 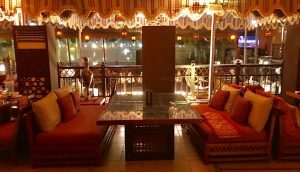 One of the most famous Iftars in Dubai! The Majlis is an impressive structure set up just for Ramadan. Its ambiance is perfect for Iftar as it serves fabulous buffet with an equally beautiful desserts table. If Arabic classics with a casual contemporary comfort-food twist is your choice, here’s your spot. The sprawling gardens are a spot of tranquility in the centre of buzzing Palace Downtown Palace. Its Iftar offering is prominent with classic Arabic food and music to match the special setting. Every aspect of Ewaan is touched with Arabic authenticity including the Bedouin-style tents – no white marquees here. On or around Sunday May 5th 2019 to Tuesday June 4th 2019.